"The Hills machine was so powerful." Still, Heidi admits to missing the cash flow of her previous celebrity lifestyle. "That was really fun, going to the bank," she says wistfully, "It was such a different carefree time in my life." So carefree that Heidi made the decision to invest $2 million of her own money into a music career to fulfill a lifelong dream. "Who doesn't grow up wanting to be like Britney Spears or Janet Jackson? I admired those women and wanted to make music since I was really young," Heidi says. Before she met Spencer, Heidi had already laid the framework for a music career. 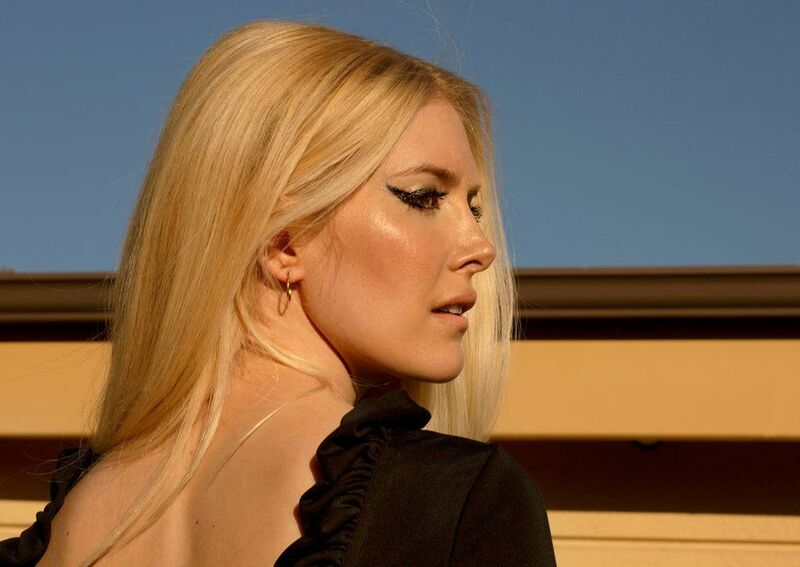 Her manager at the time was pushing things toward a trendier rock-pop route, much like Ashlee Simpson, but Heidi had a different vision for herself: "I wanted to be a pop star." She joined forces with songwriter/producer David Foster, who had previous successes with powerhouses like Whitney Houston and Christina Aguilera. Together they created Heidi's debut single, "Higher," which inspired her to continue creating tracks with the industry's leading talent. "I had [Cathy Dennis], who wrote 'Toxic' for Britney Spears, [and The Runners], who wrote for Rihanna," Heidi says. "The songwriter behind [my song] 'No More' had just won a Grammy. Little by little, it all added up to $2 million. When you're so immersed in that world and spending money, you're like, 'That's a hit! That's a hit!' Obviously I wish I had that money back, because that was a lot of money." "I was confident the music would speak for itself," Heidi says, but her $2 million investment saw nearly no return. Superficial sold just over 1,000 copies in its first week of release and failed to chart (album highlight "More Is More" had already been released and debuted at number 50 on Billboard's Hot Dance Club Songs, but that'd be her only charting single to date). Disappointed, Heidi believes the world wasn't ready for her music and didn't want to see her successfully cross over from reality TV to mainstream pop. Beyond being a daily target, Heidi also attributes slim sales to her chosen genre. "Pop wasn't trendy or cool when my album was released," she says. "I think even a few years before or after, Superficial would've been a big hit. It's about finding the right people at the right time, but it just never quite lined up." Today, with hundreds of thousands of Spotify streams and a cult audience, Heidi recognizes her foray into music as an "underground pop phenomena," saying that people can finally "appreciate it for the music" without her notoriety clouding its quality. And, although she has no plans in the immediate future to return to music, she hasn't ruled out the possibility of getting back into the game in 10 years or so when she's done having kids. "I look at Erika Jayne and I'm like, 'Wow, she's older than I am and touring.' So you never know," she says, adding that, like Jayne, a sizable part of her fanbase come from the LGBTQ community, and she'd be open to doing a gay club tour one day. "I was confident the music would speak for itself [...] I think even a few years before or after, Superficial would've been a big it."